What is Cardboard Recycling? | Planet Paper Box Group Inc.
Cardboard, also referred to as corrugated cardboard, is a recyclable material that i recycled by small and large scale businesses to save money on waste disposal costs. Cardboard recycling is the reprocessing and reuse of thick sheets or stiff multilayered papers that have been used, discarded or regarded as waste. Cardboard boxes are usually heavy-duty or thick-sheets of paper known for their durability and hardness. Examples of cardboard include packaging boxes, egg cartoons, shoe boxes, and cereal boxes. Recycling is good for us as it not only saves our environment from deterioration by reducing pollution but also conserves valuable resources and creates jobs. Cardboard recycling is done as a way of keeping the environment clean and green. The steps below provide an explanation of the cardboard recycling system. Collection is the first step of recycling cardboard. Recyclers and businesses collect the waste cardboard at designated cardboard collection points. Majority of the collection points include trash bins, stores, scrap yards, and commercial outlets that generate cardboard waste. After collection, they are then measured and hauled to recycling facilities, mostly paper mills. At this point, there are certain types of cardboard that are accepted while some are not depending on how they were used or manufactured. For instance, cardboard that are waxed and coated or used for food packaging are not accepted in most cases as they undergo different specialized recycling process. Once the corrugated boxes arrive at the recycling facility, they are sorted according to the materials they are made of. In most cases, they are classified into corrugated cardboard and boxboard. Boxboards are the ones that are thin such as those used for cardboard drink containers or cereals boxes while corrugated boxes are bigger and stiffer commonly used for packaging transport goods. Sorting is important since paper mills manufacture different grades of materials based on the materials being recovered. After sorting is done, the next step is shredding then pulping follows. Shredding is done to break down the cardboard paper fibers into minute pieces. Once the material is finely shredded into pieces, it is mixed with water and chemicals to breakdown the paper fibers that turn it into a slurry substance. This process is what is termed as pulping. The pulped material is then blended with new pulp, generally from wood chips that ultimately help the resulting substance to solidify and become firmer. The pulpy material is then taken through a comprehensive filtering process to get rid of all the foreign materials present as well as impurities such as strings, tape or glue. The pulp further goes into a chamber where contaminants like plastics and metals staples are removed through a centrifuge-like process. Plastics float on top while the heavy metal staples fall to the bottom after which they are eliminated. The next process, de-inking, involves putting the pulp in a floatation device made up of chemicals that takes away any form of dyes or ink via a series of filtering and screening. This step is also called the cleaning process as it cleans the pulp thoroughly to ensure it is ready for the final processing stage. At this stage, the cleaned pulp is blended with new production materials after which, it is put to dry on a flat conveyor belt and heated cylindrical surfaces. As the pulp dries, it is passed through an automated machine that press out excess water and facilitates the formation of a long rolls of solid sheet from the fibers called linerboards and mediums. The linerboards are glued together, layer by layer to make a new piece of cardboard. In other cases, the medium is used as the corrugated sheet which is taken through two huge metal rolls with teeth to give it the ridges. Linerboards are then glued to the medium as the thin outer covering. Alternatively, the linerboards and mediums are ferried to boxboard manufacturers where the manufacturing process is completed by use of machines that shape and create crease along pattern folds to make the boxes used for packaging or transporting products. 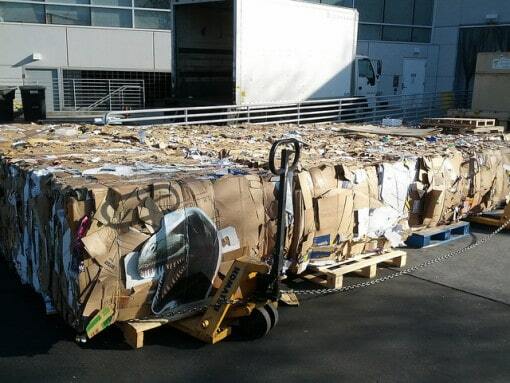 Cardboard recycling helps to reduce dumping of cardboard waste in landfills. On this basis, cardboard recycling helps to improve the cleanliness of the environment and promotes healthy human surrounding. 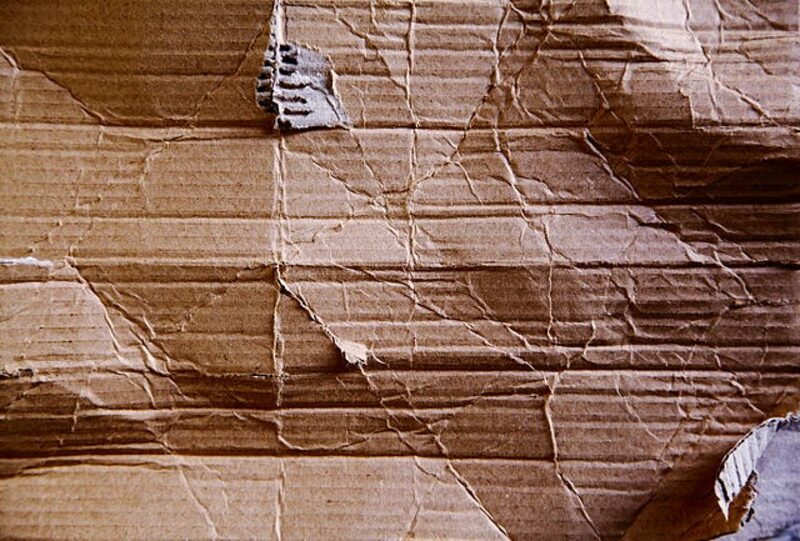 Some cardboard are made from almost 100% recycled materials, while majority are averaged at 70% to 90%. The cardboard materials are also biodegradable thus, it reduces environmental footprint and degradation by offering what is termed as “green” packaging solutions. Recycling cardboard also offers a fundamental solution towards environmental conservation by preserving natural resources due to their highest reuse percentage in producing new cardboard products. The wood chips materials added during pulping are made from birch or pine tree pulp that have high percentage of recyclable content. Furthermore, these trees are easy to grow in various environmental conditions. They are also first growing compared to hardwood trees. Due to the fact that they are able to grow fast in various conditions and their recyclable quality, it means they can be managed and harvested sustainably thereby promoting use of renewable materials. Owing to the highest percentage of cardboard recyclability, the amount of energy required for producing corrugated packing products is tremendously reduced. Further, they are made from locally available materials that can be harvested in an environmentally friendly way. On this basis, the transportation and production costs of cardboard recycling are reduced while at the same time excelling at delivering materials of greater structural strength for packaging or protecting goods in transit. This means, no extraneous materials and energy is needed to manufacture new cardboard boxes. As a result, recycling cardboard saves energy and materials needed to make new cardboard and also reduces environmental pollution. Recycling is good for our planet as it helps to conserve resources, create jobs and reduces pollution from production of new materials. Big businesses also recycle items as part of their corporate social responsibility programs and it also helps them to save money on waste disposal costs . Re-use: When you have plenty of cardboard boxes at your disposal, just use them for storage purposes. You can even make toys for your kids from large cardboard size boxes. You can also use them as containers to separate different items for recycling purposes. Pass them: You can pass on big cardboard size boxes to your friends or relatives in case they are planning to shift home. Small cardboard boxes can be used to store items that are not used too frequently. School children can use these cardboard boxes for their school projects. Recycle: All those pieces of cardboard boxes that you are not able to re-use for any reason, you may send them to local recycling center. Cardboard is accepted at most of the waste recycling centers. What you recycle will most likely end up being custom boxes in the future. Here is a great infographic on cardboard recycling from Earth911.